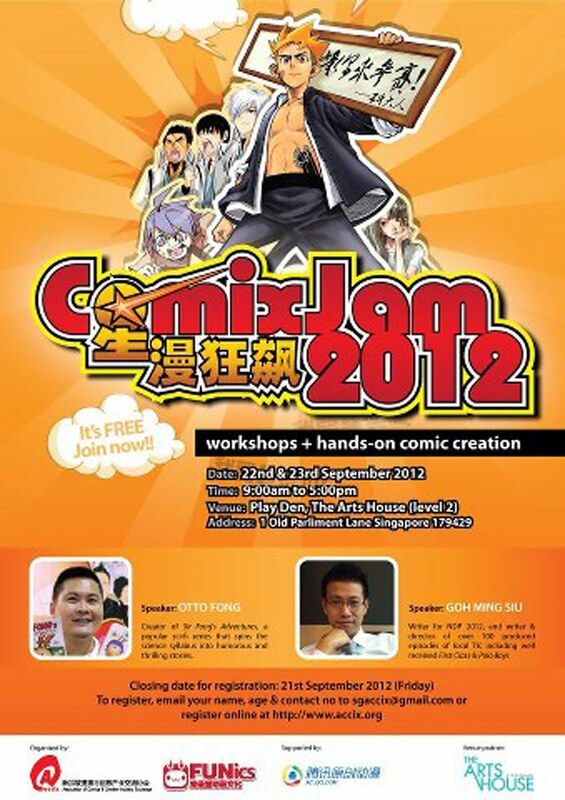 After ComixJam24hrs comes ComixJam 2012! 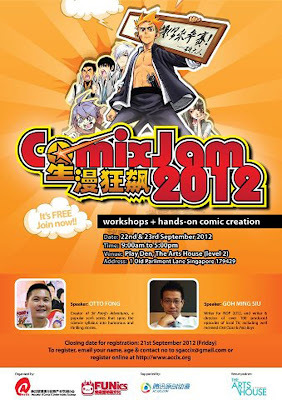 ComixJam 2012 is 2-day event centered on the theme “My Singapore Story”. Participants will create a short comic story of 8 pages based on something about Singapore that holds significant meaning for them. This is a guided creation process, where both days will start off with a creator who will focus on sharing their professional knowledge in comic creation and story-writing. At the end of the two days, participants’ works will be collected and appraised. Selected works will be showcased & exhibited at The Arts House. This event welcomes the participation of students, art & design amateurs and professionals, as well as interested members of public of age 16 and above.